Since When Summer Ends is only a few days away from being out in the world, it’s the perfect choice for this week’s Weekend Aesthetic! I absolutely reading Jessica Pennington’s sophomore novel, When Summer Ends! It’s full of taking chances, learning to go outside of your comfort zone, and all of the summer vibes! 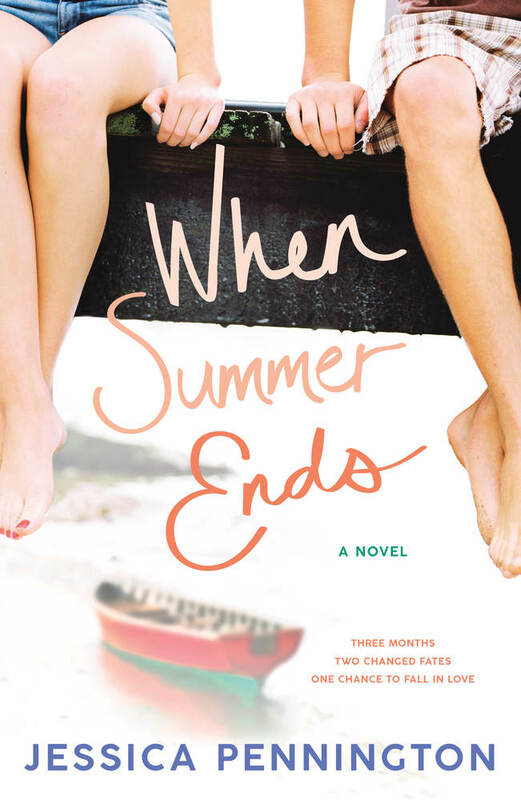 Sarah Dessen and Morgan Matson better make room for a new YA summer romance queen because you are going to want to add When Summer Ends to your summer reading list this year! Be sure to read my 5-star review and an interview with the author. Love this aesthetic! Goes really nicely with the cover. This aesthetic is perfect! You found some beautiful pictures, and I love that you included a coin, because it was their “thing”. This aesthetic makes the book look SO GOOD! I’m definitely going to have to add this one to my TBR. These posts are always so much fun! And they make me want to pick up the book so much more. Thanks for sharing!